Perhaps our latest dragonfly to regularly be on the wing, the Yellow-legged Meadowhawk, Sympetrum vicinum. They are frequently seen well into November, far past the flight dates for most other dragons. We even saw pairs in tandem today, so they are still shedding eggs. This individual, a male, looked quite fresh. Treat of the day was a rarity, and it is in this picture. Hint: it is perched just to the right of the trunk, peering out at you, exactly in the middle of the photo. The tree is a Norway Spruce and it offers good shelter, but is not this bird's preferred roosting habitat. There, I bet you can see it now. Barn Owls are quite rare as breeders OR migrants in Ohio, and seeing one is always a treat. No mystery why some call them "monkey-faced owls". Overall, Barn Owls are not rare, having the broadest distribution of any of the world's owls. It'd be interesting to know how old this bird is. They can live long lives; the oldest Barn Owl on record survived for 34 years. This was an appropriate bird to see today, on Halloween. As Barn Owls typically inhabitat old barns and houses, and make some horrifying demon-like sounds, they undoubtedly have contributed to more than a few haunted house legends. Especially if the impressionable and superstitious actually catch a glimpse of the shrieker - a ghostly white shape sailing silently overhead. I have really noticed the browning of the vegetation in recent days. Many - in places most - of the leaves have fallen, and goldenrods, asters, and other fall flora have senesced into shades of brown and tan. Coming back from Youngstown late last night, I caught the first dose of winterlike weather. Sleet/snow/rain spit down in irregular bursts on the drive home, and temperatures were downright cold. Today, when going through my treasure trove of photos looking for something, I ran across some pics of an excursion into southern Ohio from last April. Like many, spring is my favorite time, and these photos reminded me that we have a long winter to get through before the vernal eruption of flora and fauna that makes April and May such an exciting time in Ohio. One of the best-looking wildflowers to be found anywhere is Wherry's Catchfly, Silene caroliniana var. wherryi. Also one of the rarest, at least in these parts. 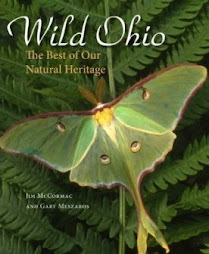 Considered threatened in Ohio, it is known from only a few sites in Adams and Pike counties. A true harbinger of spring, the phlox-like blooms enliven otherwise barren shaley slopes in April. One can see why the uninitiated might think they had stumbled into some sort of gorgeous dwarf phlox. Wherry's Catchfly is actually in the pink family (Caryophyllaceae), and would probably make a heck of a showy ornamental, but I've never seen it used in landscaping. We have two "varieties" here in Ohio. Var. wherryi is rather weakly separated from var. pensylvanica, but you can see what differences there are in this photo. Wherry's lacks glandular hairs, and its calyx tube - the rod-like structure that the flowers sits atop - is "slightly broadly tubular". In the other, it is narrowly tubular and covered with glandular hairs. Whatever you call it, this plant is a stunner. That same day, we had the good fortune of happening into a small colony of this exquisitely marked little butterfly, the Silvery Blue. Populations tend to be small, local, and scattered. Like the catchfly, they emerge before this is a lot of blooming flora or greening of the timber, and lend a dash of color to the still brown leaf litter. Here's the yin on the yang. At least here in Ohio, Silvery Blues seem to only or at least mostly use Carolina Wood Vetch, Vicia caroliniana, as the host plant. This fine-looking native pea is not terribly uncommon in southern Ohio woodlands, and in the case of the blue, the acorn doesn't fall far from the tree, so to speak. Next time you encounter a nice patch of this vetch, take a careful look about for the butterfly. It will be almost exactly six months from today before the date that I took the above photos rolls back around. In between will be sleet, slush, snow, subfreezing temperatures, and scant few butterflies and flowering plants. But it's that longterm cycle of freezing and thawing that our flora and fauna has evolved with, and requires. And in the down time, there is always gulling along the frozen shorelines of Lake Erie, and raptors at the frozen hinterlands of the Wilds. While the birding was not so hot yesterday, and the weather was decidedly cool, I still had a great time afield with some northeast Ohio friends. I met up with Andy Jones, Jim McCarty, John Pogacnik, and Larry Richardson at the legendary Headlands Dunes in Mentor, Ohio. This small state nature preserve boasts an enormous bird list - it rivals that of the more famous Magee Marsh Bird Trail and vicinity - and has many other natural charms. While our list was not enormous, it did include some quality beasts, and a number of interesting non-bird sightings. Following are a few snapshots of the day. Headland's beach in the early morning, looking east towards the lighthouse. I never tire of being along the shore of The Lake. The day started out clear and crisp, nary a cloud to be seen. By day's end the wind had kicked up, clouds had rolled in, and rain spit at us. Stable weather is not a virtue of Lake Erie. Yes, that's what it looks like. The surfer dudes were out, armored in wetsuits to ward off the now veering towards frigid water. I know a lot of people from beyond the bounds of our fair state skim this blog. Well, pass the word to the, like, totally rad, you know, surfer dudes in Malibu - they hang ten right here in the Buckeye State. Maybe not as exciting as 30-foot rollers in the Pacific, but it's a heck of a lot more manly. I've seen these guys out surfing on Lake Erie in December when it is downright freezing - air temps in the 20's, and the water temps probably in the 30's. One of the trip highlights was large groups of "snowflakes"; Snow Buntings. Flocks of up to a few dozen cavorted along the beach, cavorting like Sanderlings. These beautiful Arctic sparrows were smitten with the scruffy vegetation along the forefront of the dunes, picking seeds from plants as this bird is doing. I noticed they favored the fruit of the spiny-looking brownish plant in the lower right corner of the above photo. It is Russian-thistle, Salsola kali, which is not a thistle at all, but rather an amaranth. Mature plants develop an oval shape, and eventually the main stem becomes brittle and weakens at the base. A strong gust of wind will then snap it off, and the entire thing goes rolling down the beach a la tumbleweed, effectively scattering its seeds. Those that the Snow Buntings don't get first. I was somewhat ridiculed for taking this shot. "That's not a bird, Jim" and other such stuff. No kidding. It's an Eastern Fox Squirrel, and quite a good looking beast. A lunker of a squirrel, our largest. Their orangish-brown plumelike brush of a tail is remarkable, bigger than the rest of the animal. We ran into this outstanding clump of what I believe are Golden Pholiota mushrooms in the woods at Mentor Lagoons. I tried to get McCarty to eat one in order that the rest of the group could observe to see what side effects there might be. No go, he wouldn't do it. I don't think this is one of those killer 'shrooms, anyway. Unfortunately, my camera was still set to macro from the mushroom photo shoot when this Red Fox trotted out onto the trail, hence the blurriness of the photo. It's always exciting to see one of these common but seldom seen mammals, and this one gave us all some great looks before turning tail and trotting off down the path. This is the Wake Robin Trail at Mentor Marsh, owned and managed by the Cleveland Museum of Natural History. The museum, Jim Bissell, and his staff are to be commended for their fine restoration work here. The area aroud this boardwalk used to be a dense jungle of Giant Reed, Phragmites australis, which can still be seen on the left. Once this Eurasian grass takes hold, it chokes out most other plant diversity. Bissell et al have cleared out a big swath, allowing the natives to flourish. And with increased native plant diversity comes a big increase in birds and other animals. It was here that we had bird of the day, Nelson's Sharp-tailed Sparrow. Deb Marsh passed along a cool photo; one that I can't resist sharing. 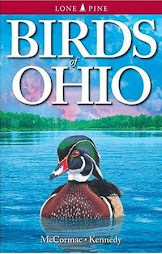 She was contacted by Steve Cothrel, the superintindent of Parks and Forestry for the City of Upper Arlington, about an odd bird that one of his employees had discovered. It was skulking in between a fence and trash can at one of the local parks in late September, and fortunately a decent digital photo was snapped. Here's our rail, no doubt wishing he had access to a dense cattail stand, but making do with the available cover. This site is an a very urban area, and most of the suitable natural wetlands that once occurred in Upper Arlington and vicinity have long been destroyed. Zoomed in a bit, so we can see that smooth gray cheek and peach-brown breast. Steve and company could certainly be excused for not knowing what this secretive marsh bird is. Relatively few people have had a chance to study rails well. Virginia Rails migrate at night, and it is amazing that most of them travel hundreds of miles between summer and winter haunts with their weak, fluttery flight. Virginia Rails, and the other rail species, probably don't fly at very high altitudes during migration, and thus become vulnerable to striking buildings and other large, manmade objects that jut into the sky. When they turn up in a less than optimal habitat, like this bird, they also are at great risk to predators like cats. Not all potential rail predators are as well-trained, respectful, and gracious as THIS ONE. Rails prefer to run rather than fly when harried, and this can be a problem for them when they are out of their densely vegetated marshland habitat, where they hold the upper hand. Here's hoping this Virginia Rail got along just fine, and is en route to wherever he needs to be. There, a much easier to type acronym for a sparrow with a name five times longer than it is: Nelson's Sharp-tailed Sparrow. Whatever you call it, this secretive species is a real charmer, one of the best-looking of the North American sparrows. Not only does the finder of one get to revel in its subtle ochraceous tones, here in Ohio finding one is always a great coup. We certainly get them here, and undoubtedly in much greater numbers than is ever reported, but they still are among the rarest of the regularly occurring Ohio sparrows. A bunch of us got a great fix of NSTS today, and on to that uno momento. I attended the Audubon Ohio biennial assemby in Bellville this weekend, and on Saturday was treated to some great talks. There were a number of others, and I heard all were good, but I could only make two of them. Dave Russell gave a great program on all of the work that the Avian Research and Education Institute is doing. This operation is based out of Miami University, and spearheaded by Dave and his better half, Jill. In addition to all of the bird banding they do near Miami, AREI also heads down to Mexico each winter and catches "our" birds down in their ancestral homelands. Then, it was onto an informative and entertaining talk by "The Birdchick" aka Sharon Stiteler. She lives in Minnesoota (Minnesota for those who don't speak the lingo), and has what must be the most heavily hit bird blog on the net. Sharon has developed bird-blogging into a science and shared lots of interesting info about the blogosphere. Great stuff and if you get the chance to hear her at one of the festivals, do so. Kudos to Audubon Ohio for a fine assembly and we'll look forward to the next one. The Ohio Ornithological Society helped sponsor the assembly, and in that capacity I led a field trip to Funk Bottoms Wildlife Area this morning, along with Ethan Kistler. 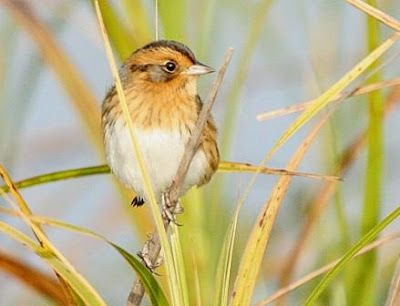 Our targets included those secretive Ammodramus sparrows; the one mentioned above and the Le Conte's Sparrow, which is probably even harder to find. The day dawned crystal clear and with a cool snap; today marked the most serious frost I have seen yet far this fall. The scene above is Funk, with its vast wetlands stretching off into the horizon. By midmorning temps had moderated and it was an absolutely spectacular day to be afield. We had lots of good birds: raptors, sparrows, a few Palm Warblers amongst the Yellow-rumped Warblers, Sandhill Cranes, calling Red-headed Woodpeckers, and many more. But our real efforts were devoted to Ammodramus-finding. I REALLY wish I could say this photo was mine, and was a fruit of our marshy toils this morning. It is not. This magnificent photo of a Nelson's Sharp-tailed Sparrow comes courtesy Kent Nickell and Flickr. We did see one and really well, but not well enough for any attempt at photos like this. When a NSTS sits out all teed up like this one is, they really look showy and rather conspicuous with those bright buffy tones. Not too tough to see. Here's the more typical reality of NSTS'ing. Our bird is in this photo, but you'll never pick him out. The plants are River Bulrush, Bulbochoenus fluviatilis, and the sharp-taileds like to skulk in these sedges and other browned sedges and grasses. Then, those beautiful golden-brown tones blend them incredibly well with their backdrop. Fortunately for our group, with a fair bit of perseverance and tracking effort by Ethan Kistler and Becky Thompson, we finally traced the bird to this bulrush clump. I saw the gleam in his little sparrow eyes amongst the bulrush and got him in the scope. Amazingly, he stayed put long enough for the entire group to admire him via the scope, a stroke of luck that doesn't happen very often in the world of Ohio sharp-tailing. Our fine group of this morning, posing at the site of the NSTS. It was a lifer for a number of our crew, and they had to work for it. From L to R: Sharon Stiteler, Ethan Kistler, Julie Dougherty, Dawn Zickefoose, Lyn Boone, Lisa Casamatta, Mary Warren. Front Row, L to R: Pam Barber, Becky Thompson, Diana Dugall. Thanks to everyone for making it such a great field trip, and the the Nelson's Sharp-tailed Sparrow for enriching our lives. I've had precious little time to get out and practice shooting with my new Panasonic FZ-50. The other day did offer a window to run over to my favorite local patch, Kiwanis Park on the Scioto River right here in Columbus. I am very pleased with the camera, especially the FL-360 flash tower that I got with it. The versatility of this flash far exceeds the camera's built-in flash, and the potential seems great. Following are some miscellanea shot with this setup. No macro stuff here, but this shot shows the site. The color representation seems more vivid than with my old FZ-30, and I am really pleased with how scenic landscape shots come out. That's the State Rte. 161 bridge in the background. The large yellowing patches of vegetation in the river, such as in the foreground, is Water-willow, Justicia americana, a plant very important to stream ecology. Up close with a Black-legged Meadow Katydid. Tiny and grasshopper-like, this male is perhaps an inch long. You've heard them. They are abundant, and singers create a dry shuffling trill. The antennae - cut off in this photo - are extremely long, probably three times the length of the insect's body. Rear view as he clambers about. I've found that with a bit of patience, insects will resume their activities once they recover from the shock of having some giant humanoid bumble into their space. These singing insects are sharp of eye and ear, and will detect you from afar and clam up. Some effort is often required to track them down. The little dual prongs jutting from the katydid's posterior are the cerci, little claspers that hold the Missus in place while they make little katydids. A leaf blade of Rice Cut Grass, Leersia oryzoides. Many people first notice this common native grass by feel rather than sight. If you look closely along the edge of the leaf, you'll see tiny teeth projecting outward. There are more of these stiff teeth along the midrib of the leaf, and they are quite sharp. Walking through a patch of cut grass in shorts can create lacerations significant enough to draw blood. Like little armless round-headed aliens, the inflorescence of a Common Dodder plant surges from its host plant, a Dotted Smartweed, Polygonum punctatum. Dodders are not particularly easy to identify to species, but simple to recognize to genus. This one is Cuscuta gronovii, our most common species. It often forms large tangles over its host plants, and as it ripens takes on the look of masses of yellowish-orange spaghetti. Dodders, once germinated from their seed, quickly clamber up a suitable host plant. Once they have sufficiently imbedded themselves into the host via suckerlike rootlets known as haustoria, they break connection with the ground and become completely parasitic on the host. As all nutrients are derived from their victims, dodders lack chlorophyll, and normally kill the host over time. A Harvestman, or "daddy longlegs". As a friend of mine says, these odd spider allies look like a tiny potato that someone stuck legs into. This one appeared to be napping, and was not put off by my close approach. I have noticed that they appear much more active at night. Harvestman are roving hunters, engaging in seek and destroy patrols. Any hapless tiny critter that they encounter may be snatched up and eaten. I look forward to more experimentation with my new camera and flash. Some people have all the luck. Back on July 22, Sylvia and Gary, who live in southern Ohio's Pike County, found a Gulf Fritillary in their yard. You can revisit that extraordinary sighting right here. They have also had Cloudless Sulphurs, another more common immigrant from the south. Some amazing photos of these jumbo flying lemon wedges can be seen, courtesy of John Pogacnik, here. Of course, it is never totally luck when great finds are made, whether they be birds, plants, or butterflies. The observer must be in tune with their surroundings, up on common species so that they know when something is unusual, and intellectually curious enough to try and figure out what the oddball is. And then, hopefully, quick with the camera and able to document the find. Sylvia recently sent along photos of a find that trumps even their Gulf Fritillary, which is a major find in Ohio. Their yard, without doubt, is an amazing place for butterflies. Backlit beauty, a Long-tailed Skipper, Urbanus proteus. Look at the tail streamers on that butterfly! This is, for the birders, kind of like having a Scissor-tailed Flycatcher show up in your back forty, although, arguably, better. There have been at least 15 records of that southern flycatcher with the elongate tail, but only perhaps three or four impeccably documented records of this skipper. I would suspect that even an absolute butterfly neophyte would stop to gaze in wonder at this one were it to appear in their yard. And one wonders how many others may have shown up in Ohio this year, but were never reported or documented. If you know of any sightings, please let me know. Check this gorgeous photo by Sylvia! Told ya, these are jaw-droppers. I've seen many in the tropics and South Texas, and they always catch one's eye. It is even relatively easy to get a non-butterflyer to have a look. Interestingly, Sylvia and Gary found this individual on October 11th, and Ohio's first documented record - a specimen was made - comes from Franklin County on October 9th, 1945. This map depicts the North American distribution of Long-tailed Skipper, courtesy the Butterflies and Moths of North America website. Its strongholds in the U.S. are south Florida and Texas, but as one can see from the map, there are numerous vagrant records well to the north. Ohio is getting near its limits for northward vagrancy, though. This species, which ranges as far south as Argentina, has been known to temporarily colonize as far north as southern Illinois. The host plants are pretty common and include tick-trefoils (Desmodium species) and Hog-peanut (Amphicarpeaea bracteata), and there are plenty of these plants here. It isn't rocket science to predict that we'll be seeing more records of this powerfully flying distinctive skipper here in the Buckeye State, if mean temperatures continue to warm. 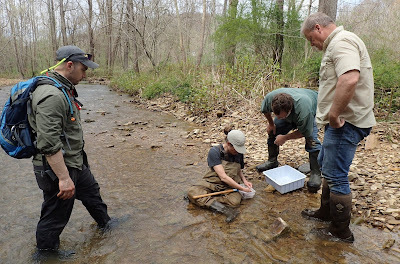 Butterflies and dragonflies are global warming hyper-responders, and it is important to document southern species to the north, like the Long-tailed Skipper. Thanks to Sylvia for sharing her great find and photos! The onset of dawn over the hills near Whipple, Ohio, Washington County. Site of the 2008 Big Sit conducted by the Whipple Bird Club (WBC). History was made here this day, when the long-standing Big Sit record established by the WBC in 2005 - 65 species - was smashed. Of course, they had to bring in some professional ringers to do it. The Big Sit is a long-established day of listing fun, spearheaded by Bird Watcher's Digest, in which participants count as many species as they can find from the confines of a 17-foot diameter circle. As one might expect, just as in real estate, it's LOCATION, LOCATION, LOCATION. The site used by the WBC is a humdinger, as we shall see. I arrived well before dawn; about 6 am. This is in part because I enjoy the sight of the sun's first rays peaking over the hills of Appalachian Ohio, and in part to see if the ringleader, Bill Thompson III, is really in place and counting in the circle. He was. In fact, BT3 was up there at midnight, dedicated sitter that he is. Rules allow counting from midnight to nidnight - a solid 24 hours. We got some goodies before light, too, such as Gray-sheeked Thrush and American Woodcock, which would have been missed otherwise. Our site. A massive wooden appendage to the Thompson house jutting some four stories above the surrounding landscape. And their house already sits on the highest ridge around. The view is impressive, and so is the birding from up there. Some of the crew hard at work. Over the course of the day, about 27 people stopped by. The event was, as always, a good time. That fishing rod-like device dangling over the edge is a primitive crane. Operated by a hand crank, it is capable of hoisting various Big Sit necessities, like beer and cheese sticks, to the summit. The view from atop, looking northward. Told you it was a stunning vista. Newbies are oriented to the various landmarks, such as power towers, the water tower, the few houses that are visible, some distinctive hills, and of course "the mesa", a patch of woods that looks like it has been given a crewcut. In mid-October, these rich deciduous forests are awash in color, courtesy of ash, tulip, oak, maple, sassafras, and other trees. A few of the crew, at their post. L to R: Shila Wilson, Steve McCarthy, Cheryl Harner, Marc Nolls, Bob Placier, and the wildly grinning Jason Larson. There were plenty more up there, I just couldn't get far enough back and didn't have a lens wide-angled enough to fit them all in. It gets tight on top the tower at times. I suppose we sometimes wedge 12 or 15 up there at once. But as to the birding. Overall, it was magnificent. It started strong, and there was good action throughout the morning, with new ticks coming regularly. As always, the action tapered off towards early afternoon, but by then the record had been eclipsed and pressure had abated. The record-breaking species? Well, it was a bit of a downer. Four Common Grackles winging by the tower. We wanted something truly jaw-dropping, like Scissor-tailed Flycatcher, Sandhill Crane, or perhaps Violaceous Trogon. Wasn't to be, but the grackles were OK. Too bad it wasn't either #67, 68, or 69. They were, respectively, Broad-winged Hawk (late! ), Tree Swallow, and Scarlet Tanager. But we were pleased, and not only beat the record but demolished it by four species. The bar has been set high, and we'll have our work cut out for us in '09. Finally, the sun slipped below the horizon, and even though we tried, no more birds were to be added. No matter, it was as always a great day with los of good company. The birding was great, and wonderful practice in making long-range ID's and sorting out various call notes. Thanks as always to our most gracious hosts, Bill Thompson, Julie Zickefoose, and Phoebe, Liam, and Chet Baker. Next January will mark my fourth trip to the little southern Central American country of Costa Rica. It is a birder's paradise. More than that, anyone with an interest in natural history will be awed and dazzled by the incredible diversity of life to be found in Costa Rica's varied habitats. Our local guide, as in the prior trips, is the incomparable Noel Urena. Few if any know the birds of this lush country like Noel does, and he is a master at recognizing calls and finding even the hardest to locate of jungle birds. We will be visiting four primary destinations, ranging from the Caribbean to the Pacific. Last year, we saw some 330 species of birds, not to mention all of the other fascinating biodiversity. I like to keep these trips small, about eight people, so that everyone has maximum opportunities to see all birds and other wildlife. Due to two cancellations, we have room for a few more participants. Please let me know if you are interested, and I will send along additional details. My contact info is at the end of the post. Costa Rican roadside scenery. This stream, tinted whitish-blue by mineral deposits, coursed under a roadway on the lower Caribbean slope. Of course, we stopped to admire the view and in the process found lots of wonderful birds and plants. Any stop anywhere is almost certain to produce a lot of noteworthy sightings. A bit higher up the Caribbean slope. One can see the origin of the aptly named cloud forests in this shot. Even though it is only about half the size of Ohio, Costa Rica abounds in habitat diversity, ranging from humid lowland jungle to mountainous highlands populated by montane flora. Birding is stupendous. Getting great looks at many species is often not a problem. I photographed this Bare-throated Tiger-Heron from a boat in the jungles of Tortuguero National Park, a vast waterlogged coastal jungle along the shores of the Caribbean. Access is by boat only, and this method of transport offers stupendous views of birds, monkeys, sloths, caimans, and other sundry beasts. We'll be going here in 2009. Chestnut-mandibled Toucan, photographed while ingesting sensational Costa Rican java on the deck of the villa at Oro Verde preserve. We convene on this balcony each morning, and rack up dozens of species practically at one's fingertips. 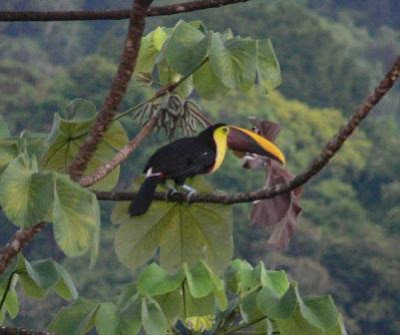 The cecropia tree that this toucan is gracing attracts incredible birds, including Oro Verde's mascot species, the Baird's Trogon. Oro Verde will be another stop on our itinerary. The dates of the 2009 expedition will be January 20 - 30, and we'd love to have you along. It will be an unforgettable tropical trip, and if you haven't been to the tropics, expect a huge swell in your life list. I bet few if any organisms that so many people know so little about elicit more oohs and aahs then fungi. Many species are dazzling eye-grabbers and nearly anyone who notices the especially showy fungi will take a moment for a closer view. And did the other day, when an especially striking clump of orangish mushrooms begged for a look. Golden Pholiota, Pholiota limonella. This is one of the wood decomposers, and an especially striking species. Fungi are rich and varied; some estimates put the worldwide species total at over one million. Of course, no one really knows, and if you want to enter a field that is ripe for new discoveries, become a mycologist (fungi scientist, or perhaps, a "fun guy"). Golden Pholiotas feel funny. Touch one, and the sensation is just like sticking your finger into wet spongy bread dough. Kind of makes you recoil. And unlike good bread, you wouldn't want to eat it. This species wouldn't kill you, but according to firsthand accounts you would probably become unpleasantly ill. In fact, it is wise to avoid eating ANY mushrooms unless you really, truly know your stuff. Some, like a number of the Amanitas, can kill you right smack dead. It's been a decent fall for spectacular mushrooming in some areas, and I look forward to photographing some more. Maybe I will this weekend, with my new cool camera. It just arrived today, and all goes well with this new setup, perhaps we can look forward to better and improved photos on this blog! It is said of some women that they are wasp-waisted. This, generally, is a good thing, I suppose. And probably a goal to attain for some. But I wonder if many coveters of the wasp-waisted physique know where the term is derived, beyond a very general sense. Let's have a look. I had the good fortune to stumble upon one of our most beautiful wasps yesterday, and this one could be the originator of the term. The aptly named Yellow-and-black Mud Dauber, a real beauty. Most wasps are visually striking, if one can get over the fact that a lot of them can give a gnarly sting. Fortunately for us, few if any are adapted to kill people, and for the most part are quite docile to humankind. I had my macro lens within inches of this guy. He was still in a bit of an early morning torpor, but quickly came to and set about hunting spiders. Some arbiter of fashion and style must have seen a wasp like this when he/she coined the wasp-waisted term. That is one threadlike abdomen, so small one wonders how this animal even functions. Sure creates a neat look, though. Yellow-and-black Mud Daubers have an apropos scientific name: Sceliphron caementarium. You've probably seen their nests. Little bungalows of plastered mud tucked under bridges or building eaves, they are engineering marvels. It takes a lot of work and a lot of time to make one of these adobes of death. The wasp makes repeated trips with tiny glomerules of sticky mud, cementing each perfectly into place. And death adobes they are. The above shot shows the inner chambers; final resting places for unfortunate spiders. 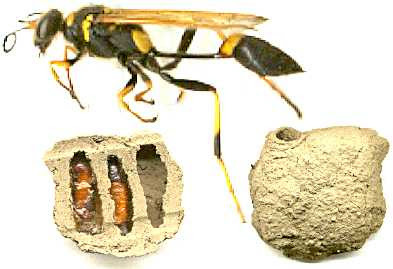 The adult mud dauber captures and paralyzes its archnid prey, and somehow lugs it up to the nest. The victim is then sealed into the chamber along with a wasp egg. Upon hatching, the wasp larva has a fresh meal. Yesterday marked the second annual Ohio Young Birders Club conference, and it was an event to be proud of. The inaugural conference was held at Ottawa National Wildlife Refuge's new visitor, a fine venue but one in which we were bursting at the seams. So this year it was on to a bigger facility: the Chestnut Ridge Elementary School in Walnut Creek, smack in the heart of scenic Holmes County. Hats off to Kim Kaufman and all of her able volunteers at the Black Swamp Bird Observatory for not only making this conference possible, but for spearheading the whole young birders agenda. It is a growing movement here in Ohio, and their example is migrating far beyond the state's boundaries. Several other states have been in communication with Kim and BSBO seeking tips for starting their own programs, and a few have already sprung up. The American Birding Association even sent along Steve Carbol, their education manager, to study the program. Steve is a fantastic addition to ABA and it was a pleasure to meet him. About 110 attendees made the scene, most from Ohio, but I remember people from Indiana, Michigan, Florida, Pennsylvania, Kentucky, and Connecticut. I'm sure I'm forgetting some, too. Insofar as I know, this would make the 2nd OYBC conference the biggest of its kind, truly something to be proud of. We started the day in the field, which is probably the best way to start such a conference. The locale was the vast wetlands of Funk Bottoms Wildlife Area, and the day began misty and cool. Here's the mob scene at the start, which was quickly organized into separate parties which then headed out to find birds. Best bird of the day, and not the way you'll ever want to find one. This Barn Owl, a threatened breeding species in Ohio, was floating face down in the wetland. We speculate that it was attempting to capture a frog or some other aquatic beast, and dove into the water. The aquatic vegetation was dense in this spot, and the owl became snared and couldn't free itself. A teachable moment was made of the situation. The aforementioned Steve Carbol boldly waded into the muck-bottomed duckweed-choked mire and retrieved the bird. After good looks were had by all present, Andy Jones bundled it up and will make it part of the Cleveland Museum of Natural History's bird collection, which he curates. Fortunately, most of the birds that we saw were alive and well, including these Sandhill Cranes. We saw plenty of those; probably 30 or 40 were in the area and treated us to their haunting prehistoric rattles, and impressive visages. Lots of other birds were seen, and Funk was lousy with Swamp Sparrows. This should be a great place to search for both Le Conte's and Nelson's Sharp-tailed Sparrows in the coming weeks. As if bidding our team farewell, a beautiful Peregrine Falcon appeared and sat high in a dead snag. We repaired to the school, and an excellent lunch, then it was into the meat of the program. This conference, like its successor, is entirely run by people that are in the age bracket required for OYBC membership: 12 to 18. Ben Thornton, age 14, was the emcee and performed so well that he runs the risk of being emcee for life at these gigs. Great job, Ben! First up was Auriel Van Der Laar, who gave a program on the rail research that she has been involved with in the western Lake Erie marshes. This is ground-breaking work, and she, like all of the speakers, did an outstanding job of communication both with words and their PowerPoints. Bret McCarty was next, articulating the allure of winter time birding along the Cleveland lakefront, and offering up images of all the fantastic birds to be found. One must be willing to brave the cold, but as Bret demonstrated, those who do will see lots of interesting gulls and waterfowl. Then it was Jared Merriman, who gave an insightful program about ecotourism and birding. This guy has been around, for being 17! Jared took us on a whirlwind tour throughout the America's, and made the point that birders and our travels can be a positive influence on conservation. Like misbehaving schoolboys, this crew rode the back benches of the auditorium. 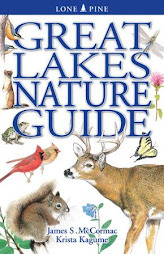 Closest to furthest, it's Jeff Bouton, extreme birder, globetrotter, and rep for Leica Sport Optics; Bill Thompson III, editor of Bird Watcher's Digest; and Jim McCarty, reporter for the Cleveland Plain Dealer and author of a wonderful weekly birding column. Wedged between Bill and Jim are Phoebe Thompson and Bret McCarty. This bird was in Jacob Bowman's talk, and it's a stumper. This is why Bill is looking through his bins in the preceding photo and why many of us bring our binocs along to talks like these - so we can practice our birding skills. Good luck trying to figure this one out! After a break and the chance to meet people and catch up with old friends, it was back for the remaining programs. Jacob Bowman led off with an updated accounting of his ongoing BIG YEAR. If I remember correctly, he is at 243 to date and this is all in the general area of Holmes County. What makes this a truly monumental achievement is that he has done it all by BICYCLE! Next up was Ethan Kistler and Brad Wilkinson, who jointly gave a wonderful program on their recent travels to Ecuador. 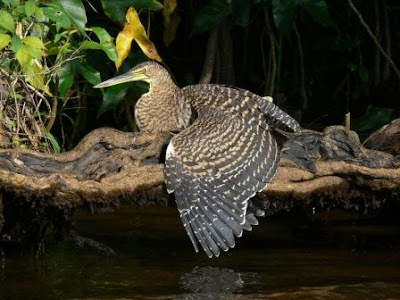 In addition to showing great shots of birds like Booted Racquettail and the intriguing habitats that are to be found, they tied in the positive effects of ecotourism on conserving Ecuadorian habitats. Topping off the program was our keynote speaker, Hope Batchellor, age 16, from Petersburg, New York. Hope became intrigued with the lack of published information relating to fledgling songbirds, especially their vocalizations, and set out to add to our knowledge. She treated attendees to not only photos of various fledgling species that she has worked with, but also recordings of their calls. A lot of this information, particularly the recordings, are not well represented in collections and her work and program were very impressive. Here's the crew that made the whole day possible. Left to right: Ethan Kistler, Ben Thornton, Brad Wilkinson, Auriel Van Der Laar, Bret McCarty, Jared Merriman, Jacob Bowman, and Hope Batcheller. Great job everyone, and congratulations to each of you! The Ohio Young Birders Club welcomes adult supporting members. This is a great way to support the club - please join us! For more information just GO RIGHT HERE.